What a taste blast! 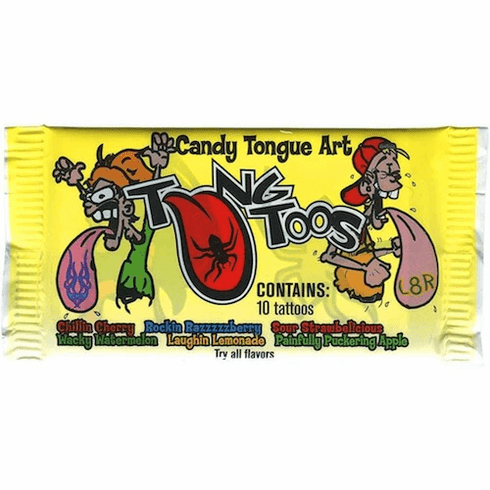 Place these candy tattoos on your tongue, and instantly you'll have a temporary tattoo on your tongue that will last for approximately 4 hours! 10 Tung Tattoos per package. Price per item.